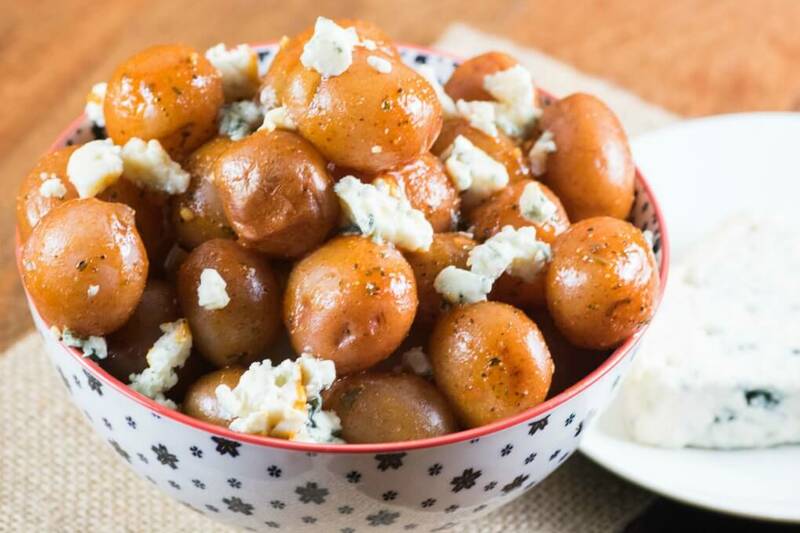 Hot sauce, melted butter, and a dash of Worcestershire creates an amazing flavor profile for this easy snack—and the potatoes are ready in five minutes! 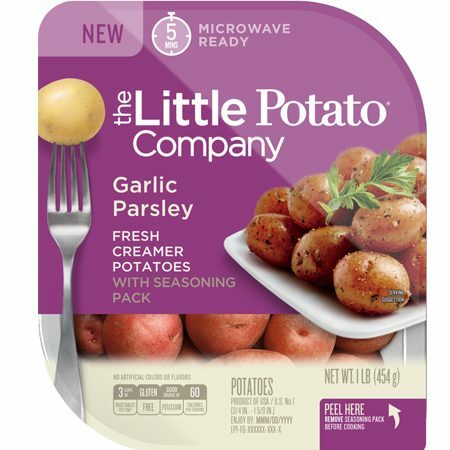 Microwave Little potatoes per package instructions for five minutes. While the potatoes cook, place the butter in a measuring cup or microwave-safe dish. Have the hot sauce, Worcestershire sauce and the seasoning pack ready. Microwave the butter until melted. Add in the seasoning package, hot sauce and Worcestershire and whisk well. Pour over the potatoes and stir to coat. Place in a serving dish with crumbled blue cheese and serve immediately.